Currently looking for type rated Captains and First Officers for our Antonov 26 to fly in Europe, with a great future perspective to fly with ATR72/42. Read about our story and future plans in ERA magazine. RAF-AVIA airline has big experience in charter operations, being on the European market for already 26 years. The passenger configuration of SAAB 340 is favourite among airline passengers due to its fexibility, comfort and reliable performance. 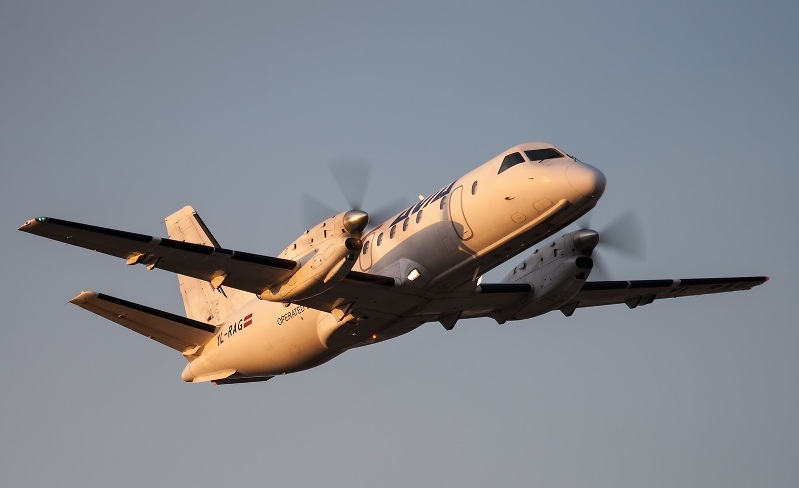 The cost-effective SAAB 340B consistently generate profit for a wide range of regional air transport services. Our Cargo Charter Department moves quickly to expedite the entire process, from charter request to the delivery of the cargo. We propose the solution adapted to your needs 24/7. All communication concerning flights operated by RAF-AVIA is carried out by the Flight Operation Support (FOS) Unit. 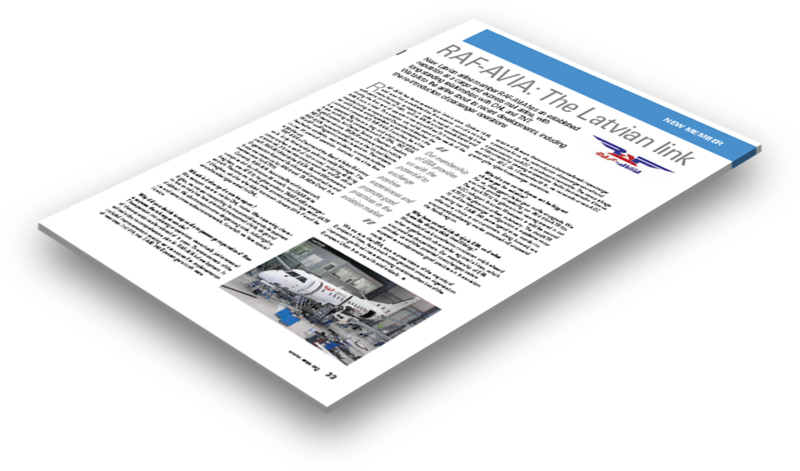 RAF-AVIA’s engineering department provides engineering support, including maintenance programme development, reliability systems, failure analysis and data collection. RAF-AVIA also has an aircraft maintenance services ranging from Line to Base maintenance on SAAB340 and AN26. RAF-AVIA is passenger and cargo airline that was established in 1990. Based in Riga it is the biggest and one of the oldest freight and passenger carrier in the Baltics operating regular and ad hoc charter flights in the region and all over Europe. Apart from freight and passenger transportation RAF-AVIA is fully certified aircraft maintenance and repair organization. 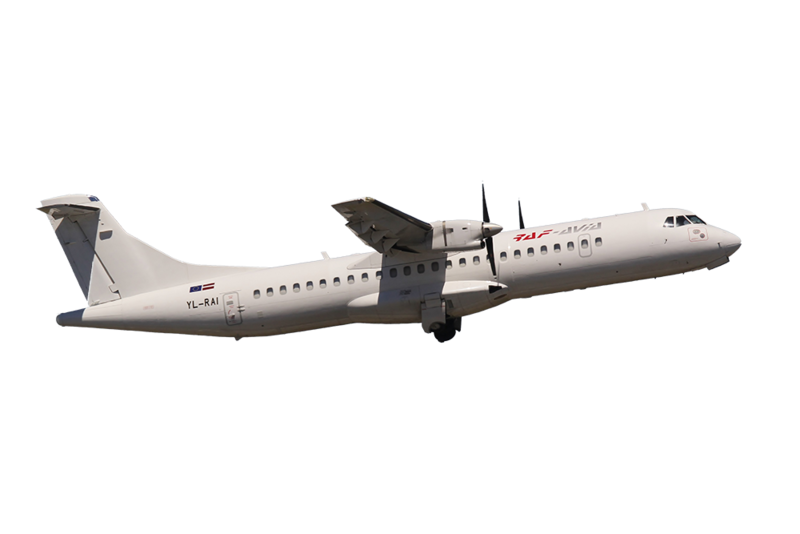 We provide Line and Base Maintenance not only for our own Saab340 and AN26 but for other operators as well. During more than twenty years of operation we have learnt all the ropes of the trade and from the many peculiarities of the aviation business our key learning is very straightforward: to be there for our clients when they need us, where they need us and with the aircraft that suits their needs best. Being an expert on carrying medium-size cargo shipments and operating regional passenger flights, RAF-AVIA operates aircraft that ideally suit this market segment. RAF-AVIA celebrated its 25th Anniversary in October, 2015 which we believe is a remarkable milestone in today’s aviation industry. One fourth of our 100 employees are here for more than 10 years and what makes us particularly proud are those 15 people who have worked for RAF-AVIA for more than 20 years. From now on our approach will be not only to adapt to the constantly changing market situation but also to anticipate change and be ready when it when it is necessary. RAF-AVIA now offers not only Cargo Charter Flights, but also Passenger Charter flights. The passenger configuration of SAAB 340 is favourite among airline passengers due to its flexibility, comfort and reliable performance. The cost-effective SAAB 340B consistently generate profit for a wide range of regional air transport services. Our team is always aiming to deliver our passengers the best tailored solutions and the highest quality service.